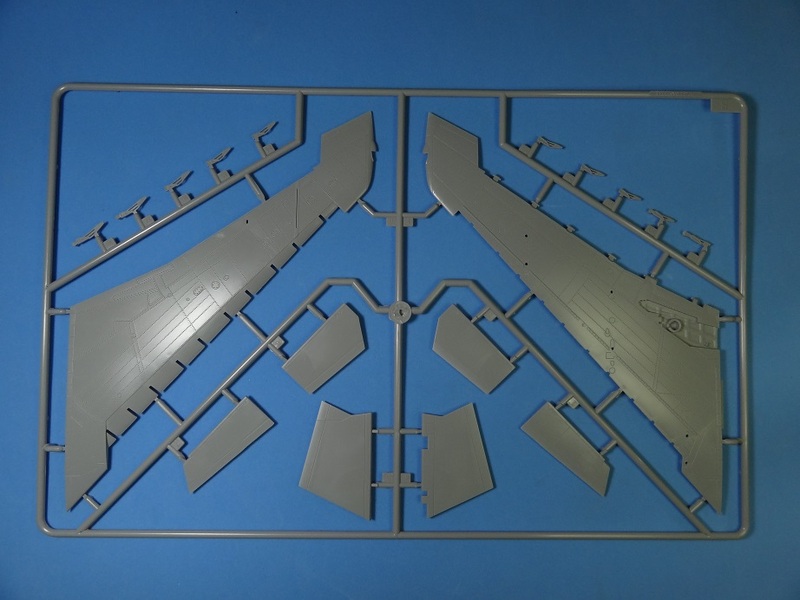 Injected plastic model, with metal landing gear, photo etched metal parts and waterslide decals. 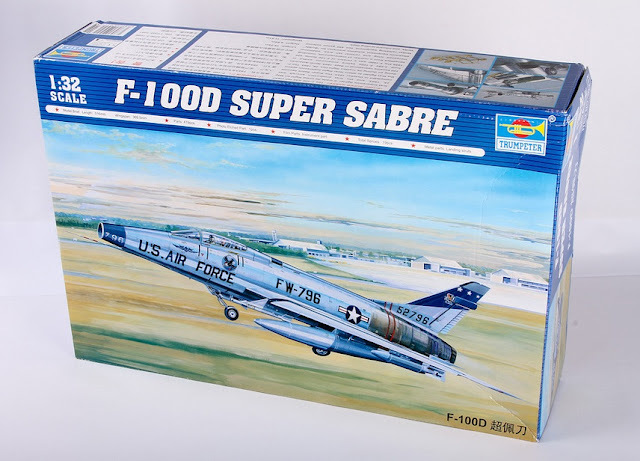 This is trumpeters 1/32 scale F100D Super Sabre. An awesome model kit. 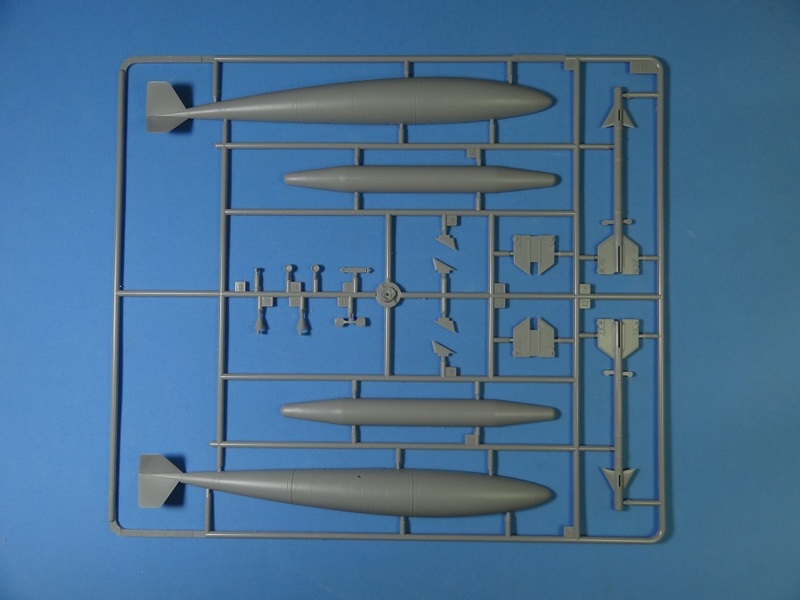 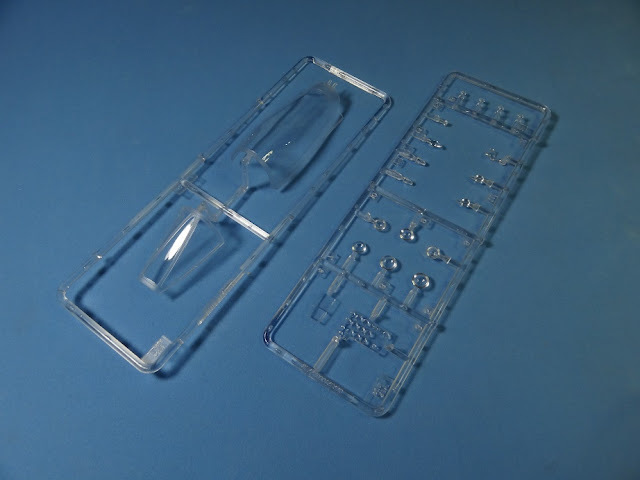 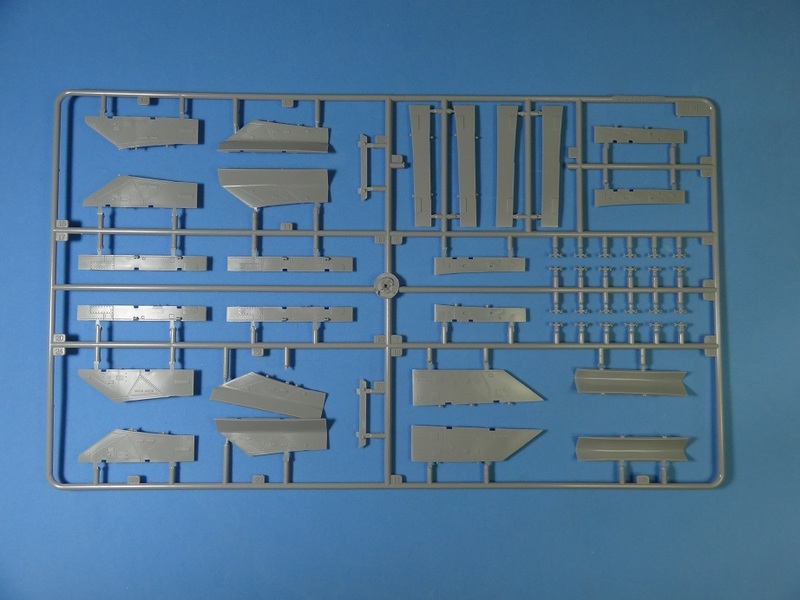 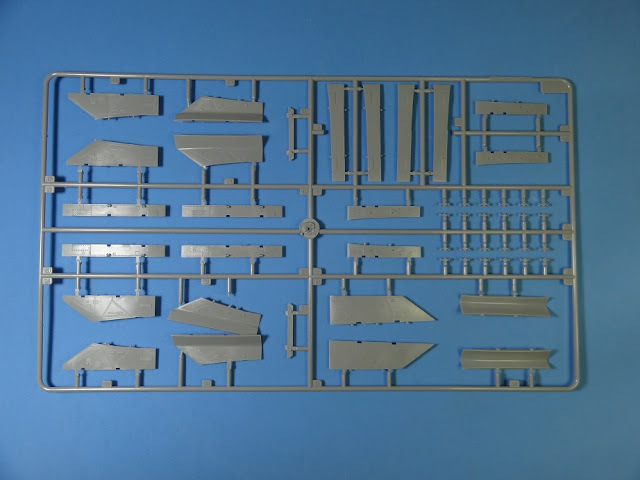 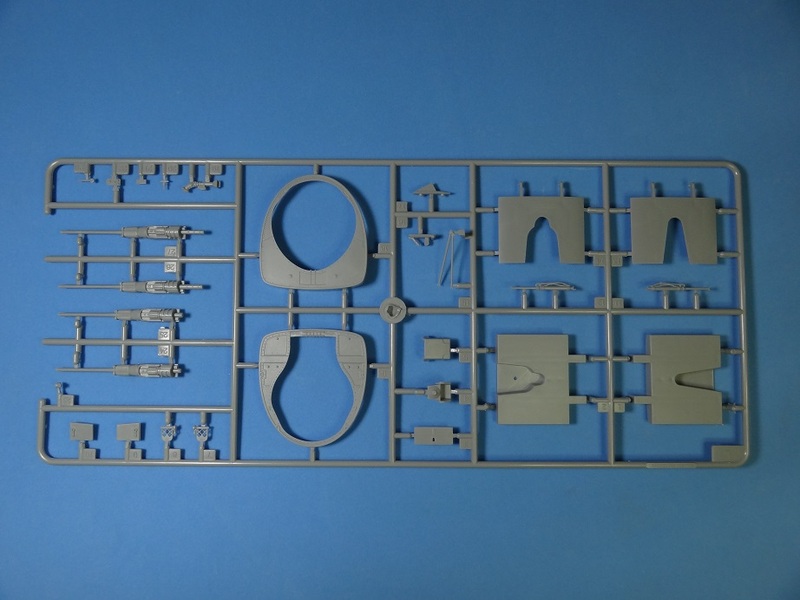 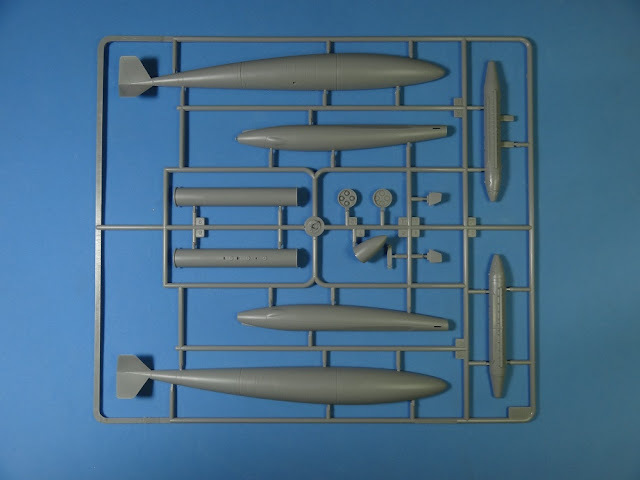 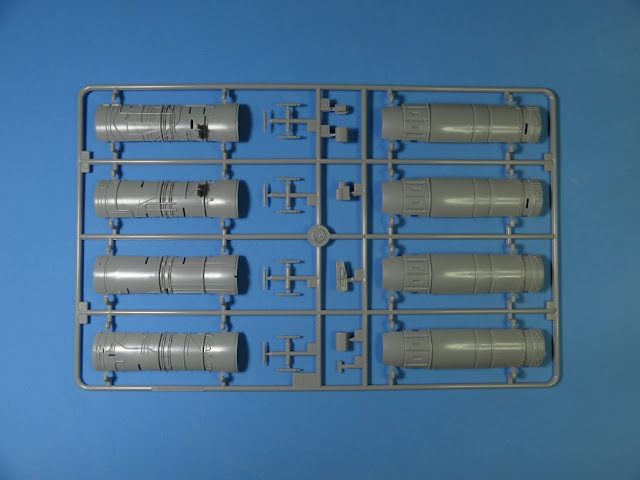 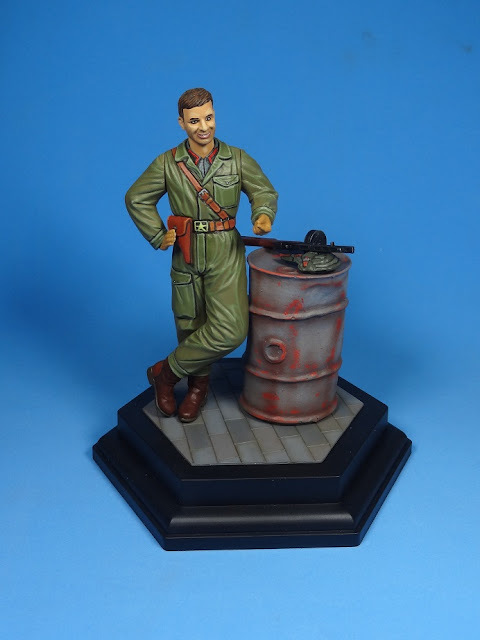 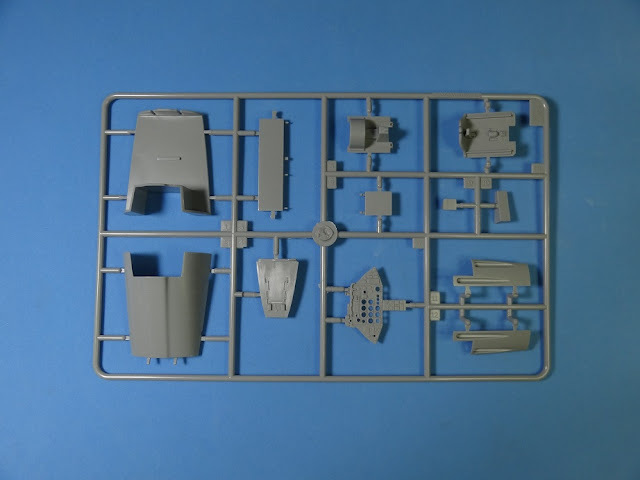 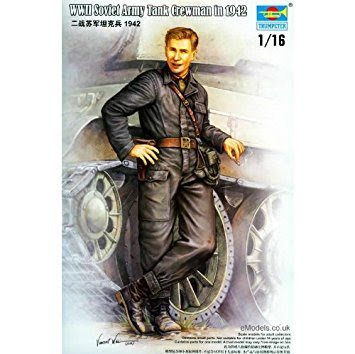 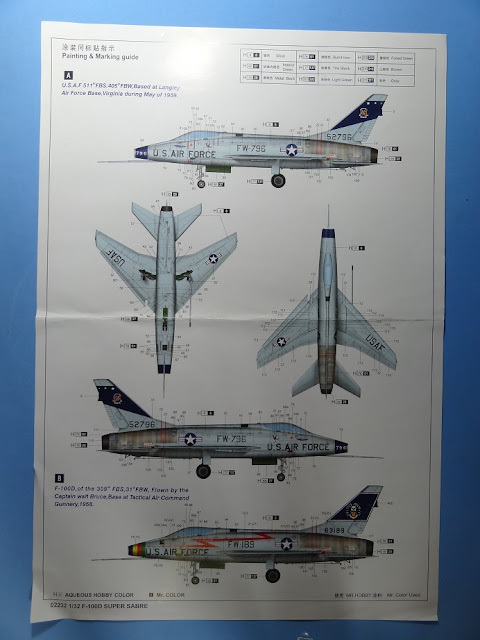 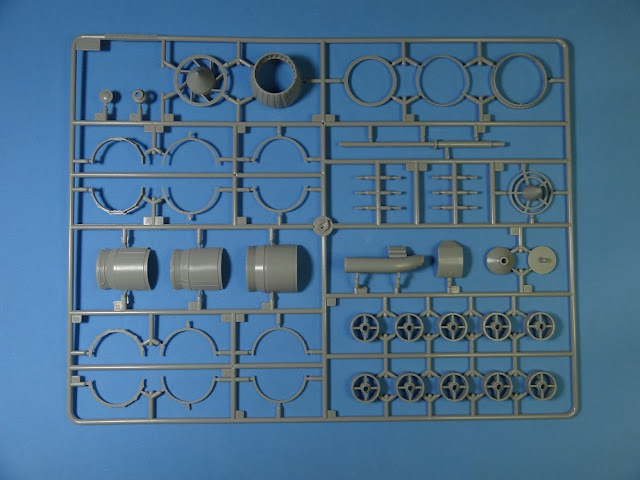 There are plenty of details inside the box to please all kind of modelers and enough room for the anyone wanting to go over the edge on this big fighter. 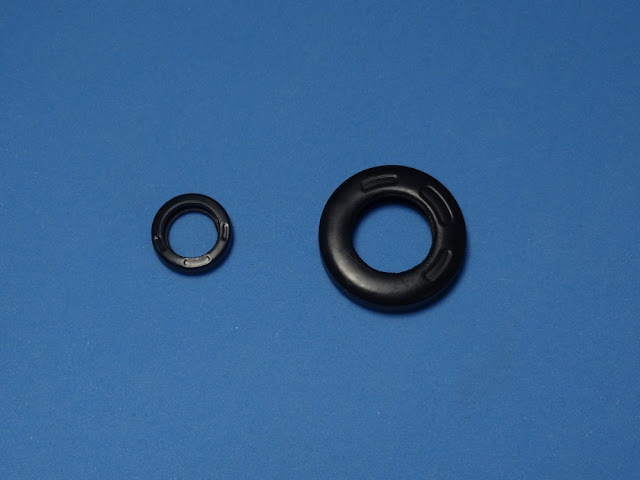 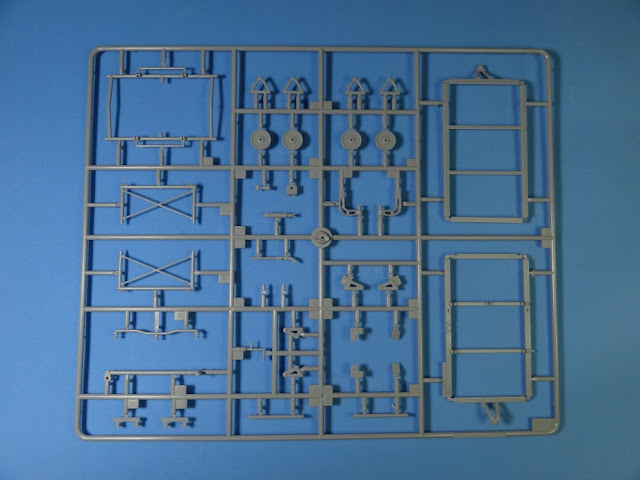 Bellow you see pictures of the sprues with a few comments. 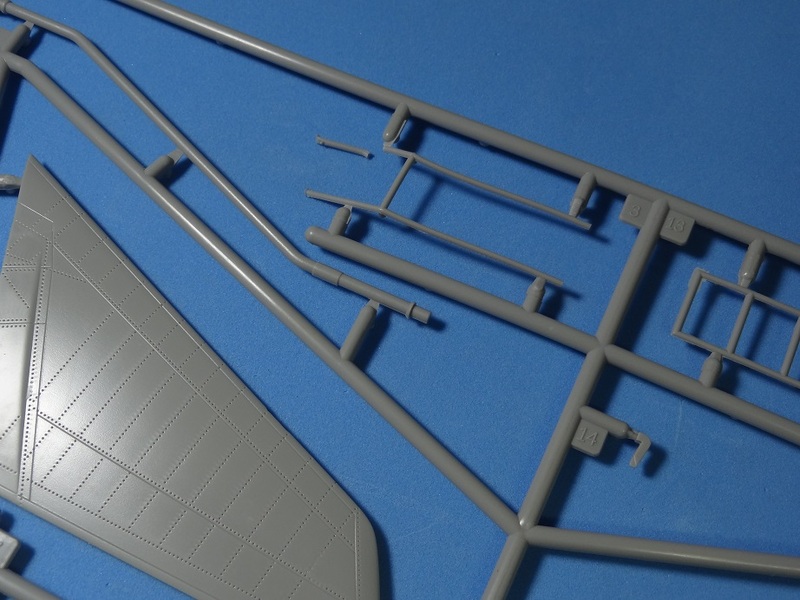 I have already started this one, so stay tuned for the news! leading edge slats are well detailed. 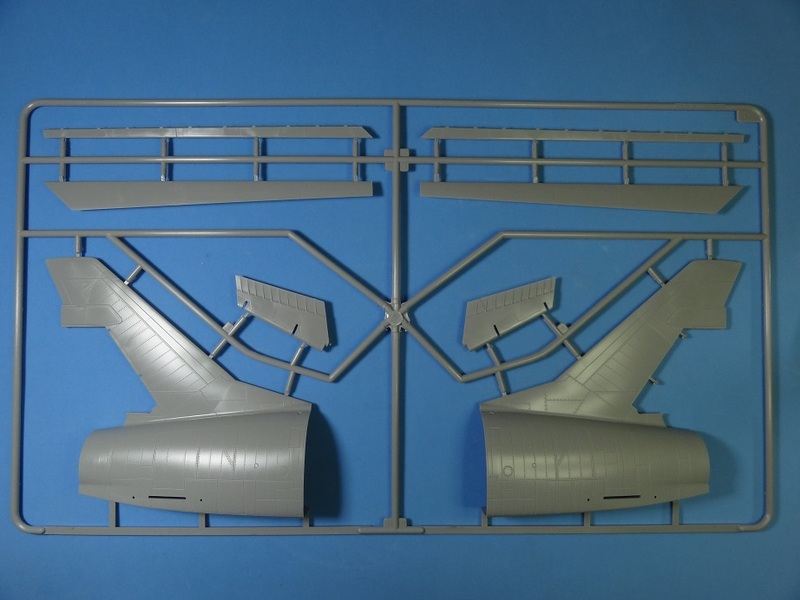 Flaps and ailerons are also displayed as individual parts, but usually, on the ground, they are locked in the neutral position. 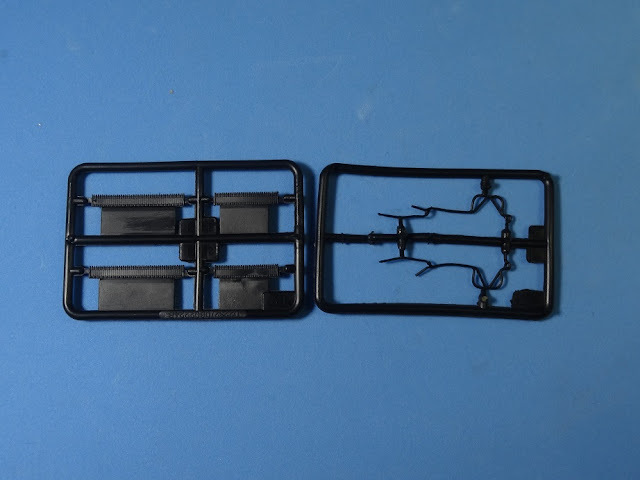 The only damaged part on the kit: part of the ladder broke loose but was recovered inside the plastic bag where it came in. 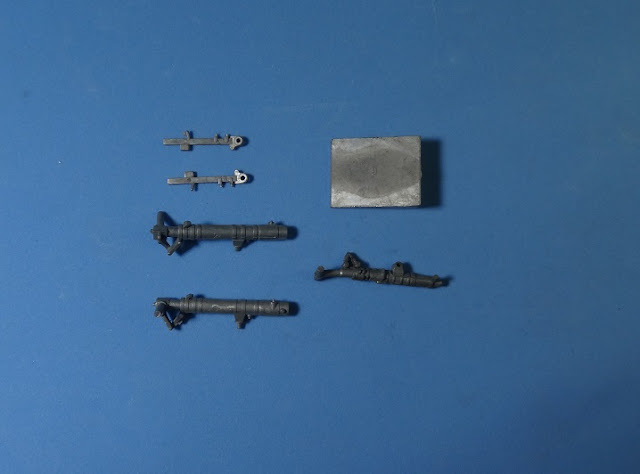 I was a little bit frustrated with the armament provided with the kit. 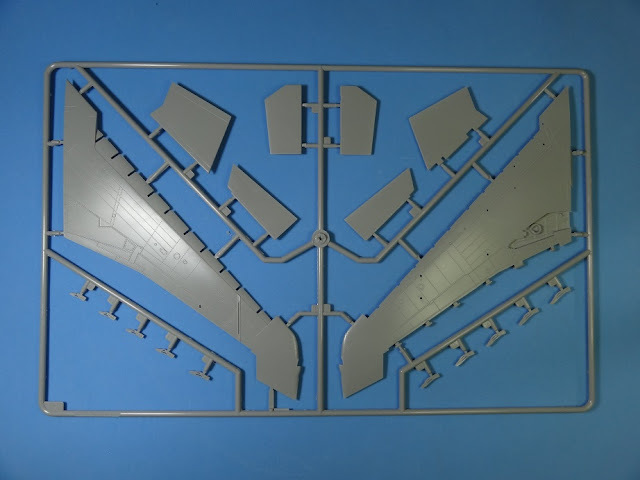 Trumpeter usually go far with the underwing stores, but there are no bombs for a fighter bomber version! There is a great engine to build with the kit. You can also display the tail section removed witch is nice since trumpeter has a long history of providing details that, once the kit is finished, are hidden inside and impossible to see. 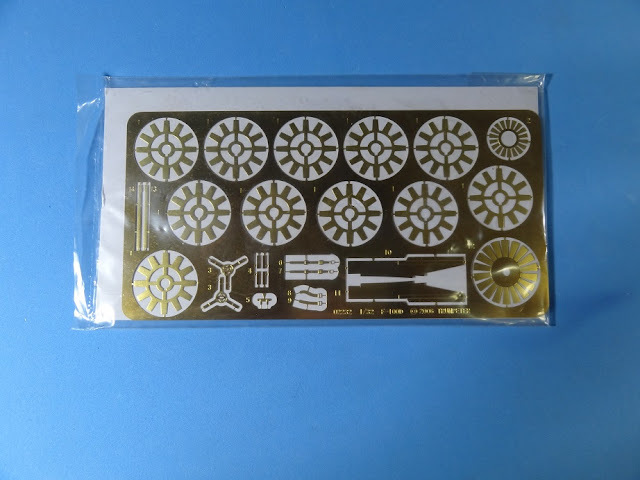 Nice set of photo etched parts, but what about those compressor blades? 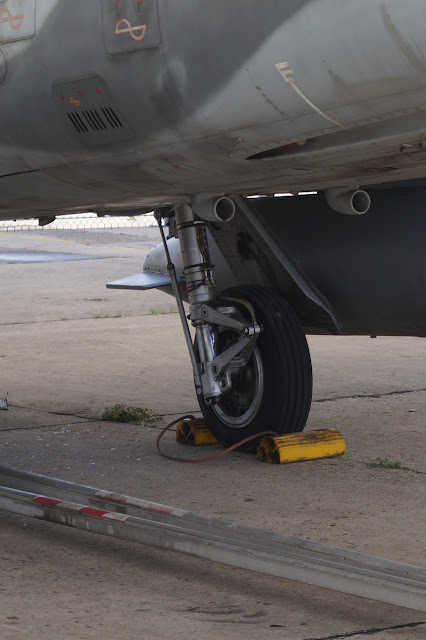 Useless as details. I hate vinyl tires. 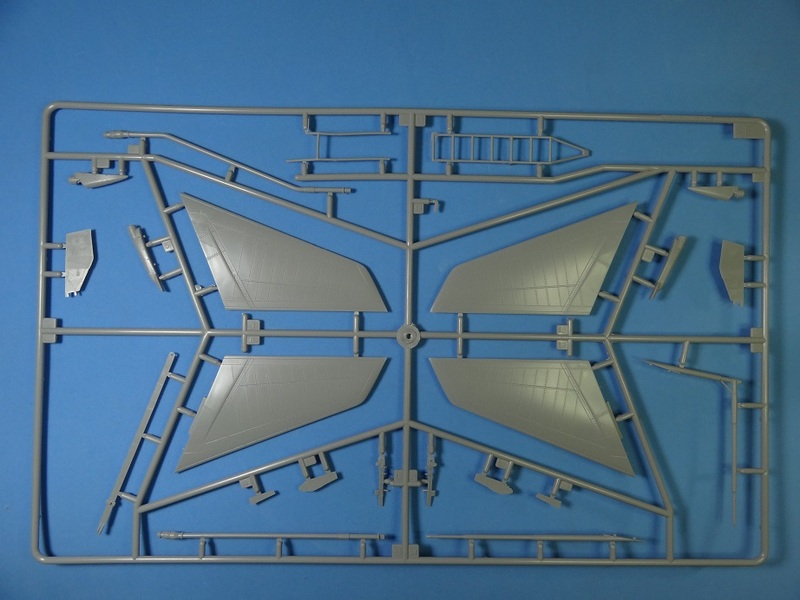 This is plastic modeling!!! 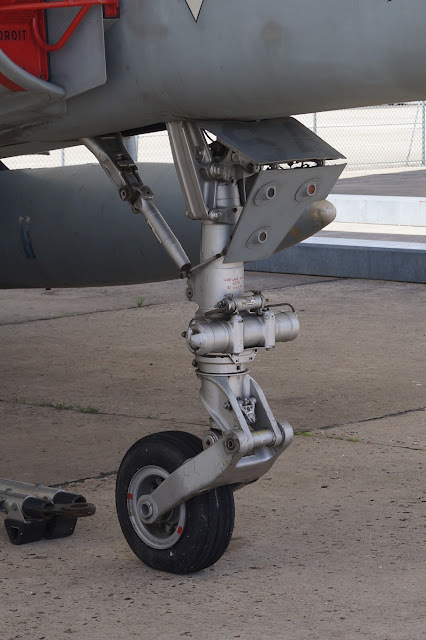 Nice set of metal landing gears. I kit this big is probably heavy and will benefit from this extra reinforcement. 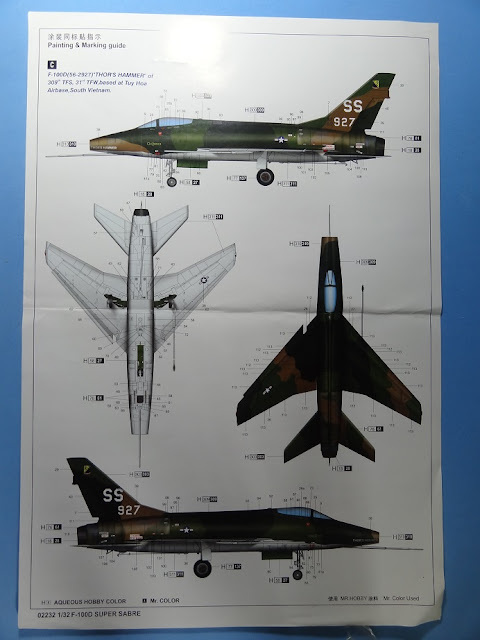 Nice set of decals for three different schemes. 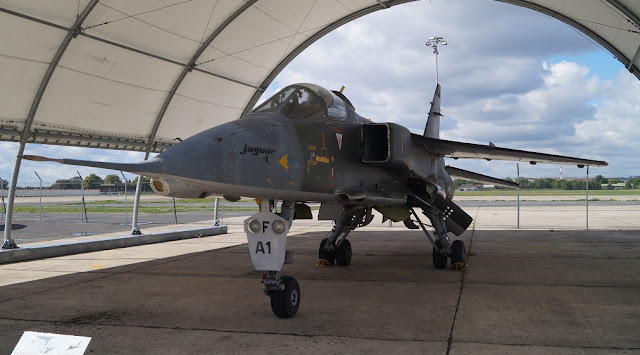 Comments:The SEPECAT Jaguar is a British-French jet attack aircraft originally used by the British Royal Air Force and the French Air Force in the close air support and nuclear strike role. 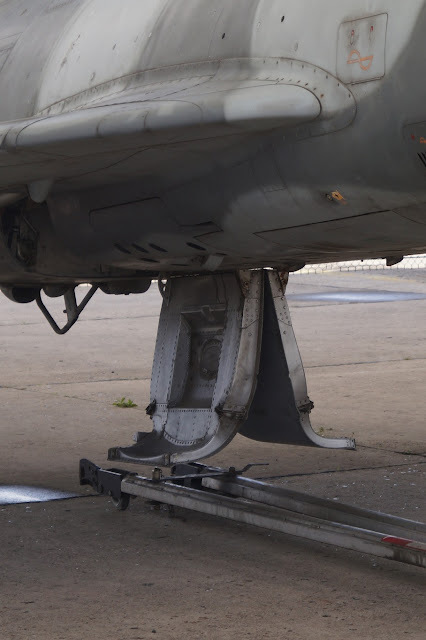 It is still in service with the Indian Air Force. 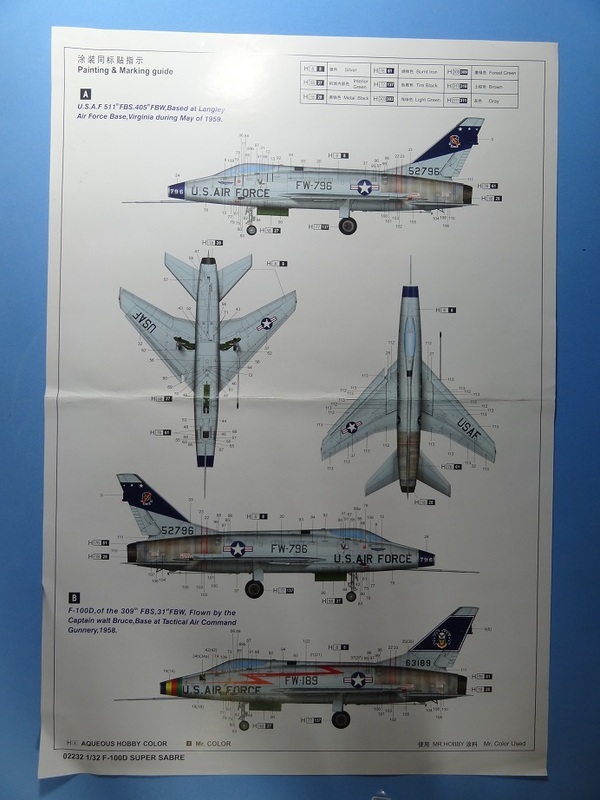 Originally conceived in the 1960s as a jet trainer with a light ground attack capability, the requirement for the aircraft soon changed to include supersonic performance, reconnaissance and tactical nuclear strike roles. 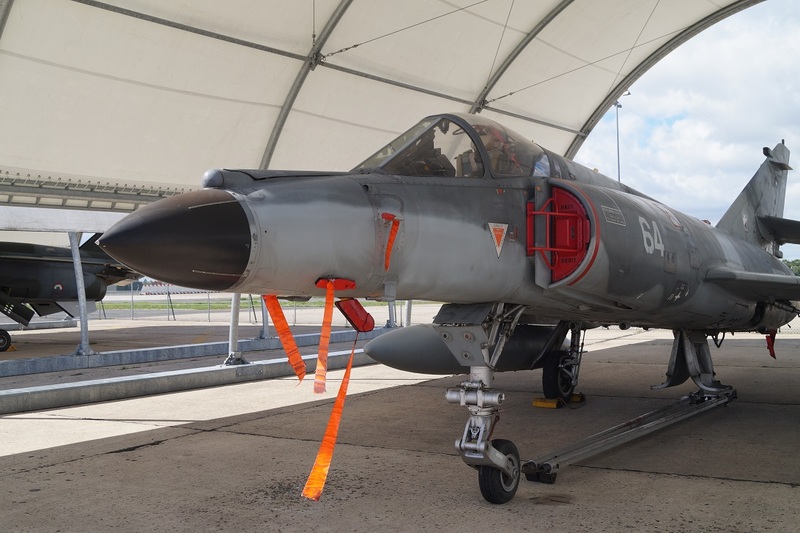 A carrier-based variant was also planned for French service, but this was cancelled in favour of the cheaper Dassault Super Étendard. 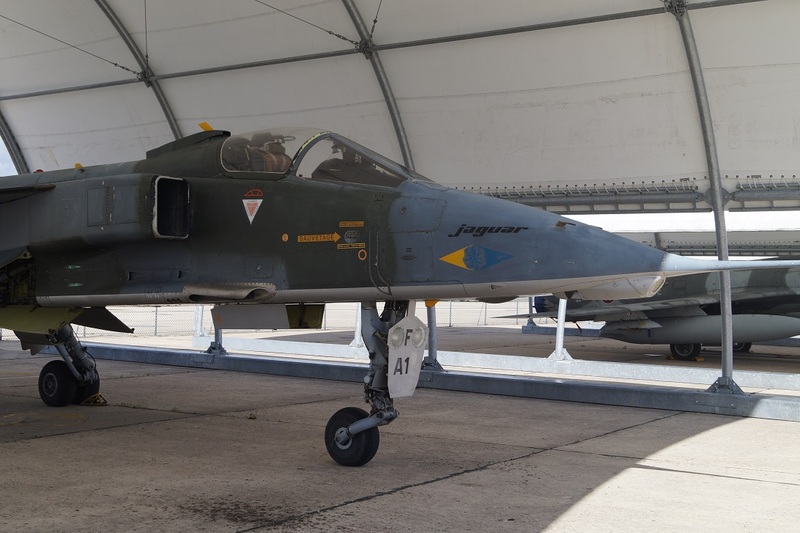 The airframes were manufactured by SEPECAT (Société Européenne de Production de l'avion Ecole de Combat et d'Appui Tactique), a joint venture between Breguet and the British Aircraft Corporation, one of the first major joint-Anglo-French military aircraft programs.The Jaguar was exported to India, Oman, Ecuador and Nigeria. With various air forces, the Jaguar was used in numerous conflicts and military operations in Mauritania, Chad, Iraq, Bosnia, and Pakistan, as well as providing a ready nuclear delivery platform for Britain, France, and India throughout the latter half of the Cold War and beyond. 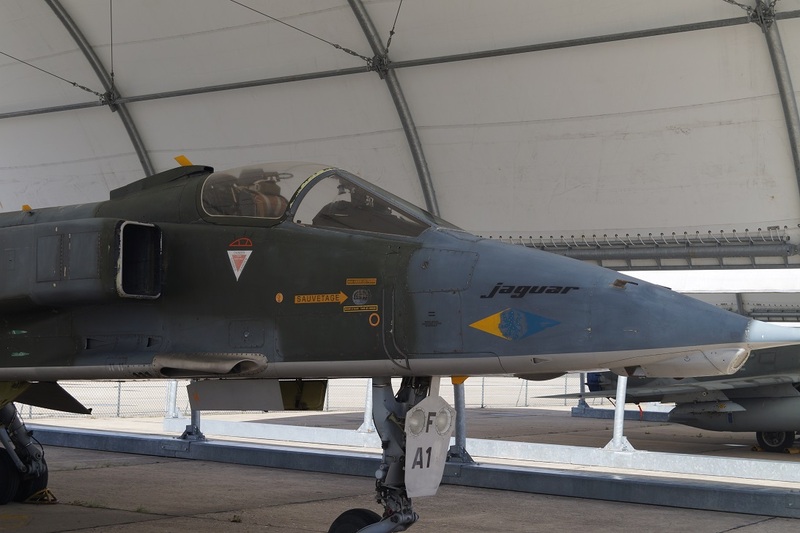 In the Gulf War, the Jaguar was praised for its reliability and was a valuable coalition resource. 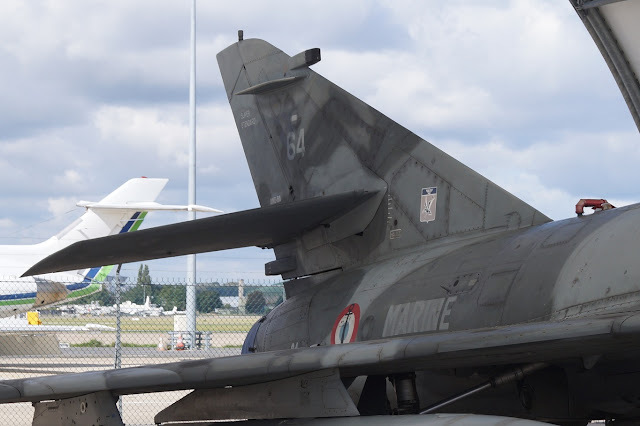 The aircraft served with the French Air Force as the main strike/attack aircraft until 1 July 2005, and with the Royal Air Force until the end of April 2007. 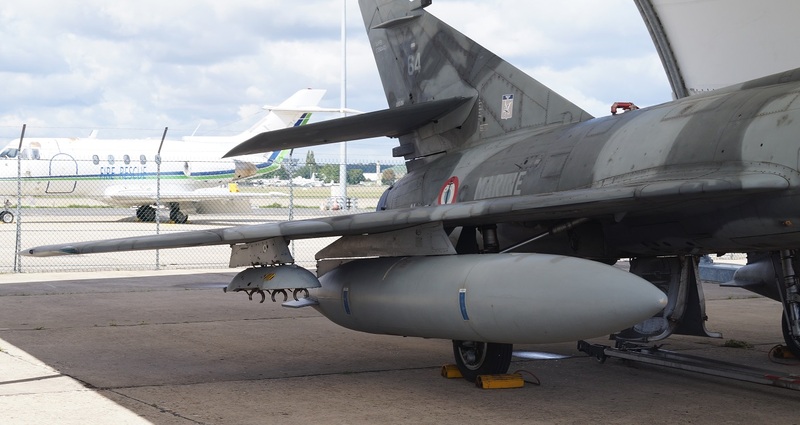 It was replaced by the Panavia Tornado and the Eurofighter Typhoon in the RAF and the Dassault Rafale in the French Air Force. The Jaguar International had the unusual optional provision for overwing pylons, used for short-range air-to-air missiles, such as the Matra R550 Magic or the AIM-9 Sidewinder. This option frees up the under-wing pylons for other weapons and stores. RAF Jaguars gained overwing pylons in the buildup to Operation Granby in 1990, but French Jaguars were not modified.The RAF's Jaguar 97s were intended to be wired for the carriage of ASRAAMs on the overwing launchers, but clearance of this weapon was never completed because of funding cuts.The Jaguar is an orthodox single-seat, swept-wing, twin-engine monoplane design, with tall tricycle-type retractable landing gear. 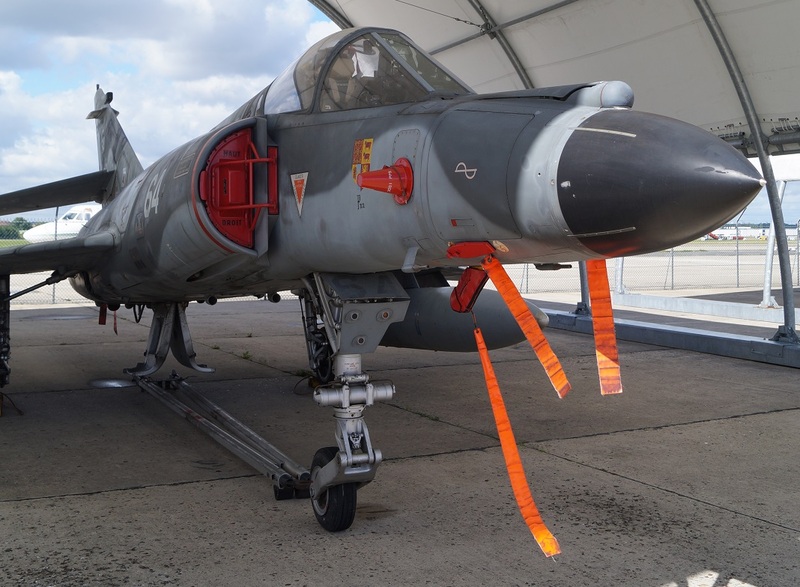 In its original configuration, it had a maximum take-off weight in the 15 tonne class; and could manage a combat radius on internal fuel alone of 850 km (530 mi), giving the Jaguar a greater operational range than competitor aircraft such as the Mikoyan MiG-27. 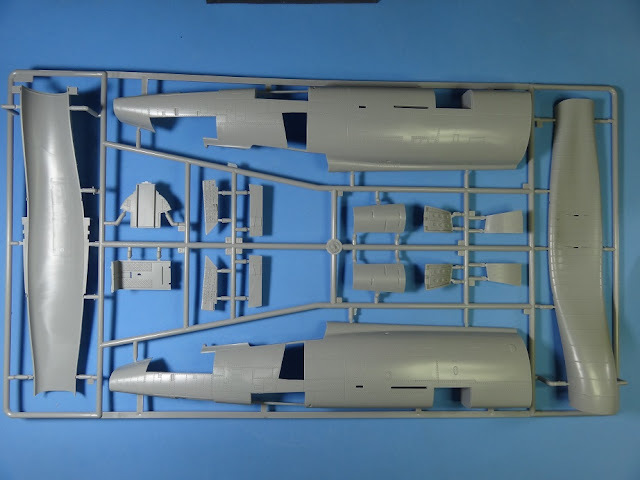 The aircraft had hardpoints fitted for an external weapons load of up to 10,000 lb (4,500 kg), typical weapons fitted included the MATRA LR.F2 rocket pod, BAP 100-mm bombs, MATRA AS37 anti-radar missiles, AIM-9 Sidewinder missiles, and Rockeye cluster bombs. 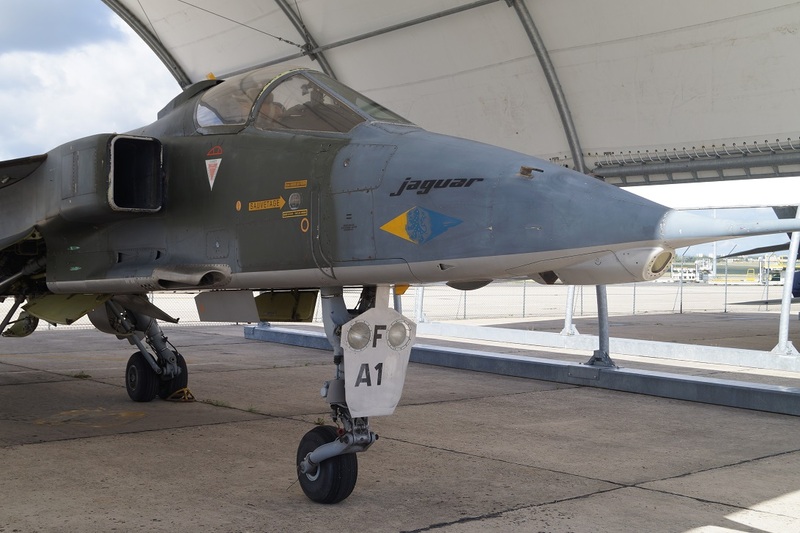 The RAF's Jaguars gained several new weapons during the Gulf War, including CRV7 high-velocity rockets and American CBU-87 cluster bombs. 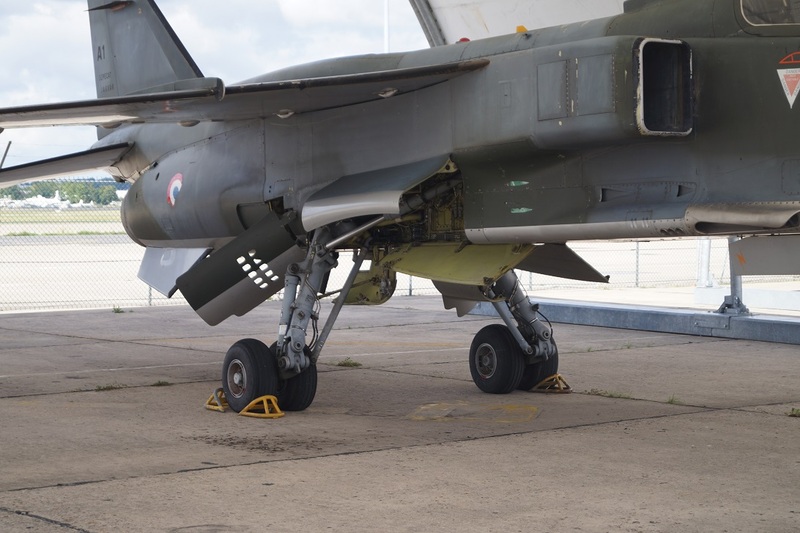 Finally, the Jaguar was equipped with either a pair of French DEFA cannons, or alternatively British ADEN cannons.